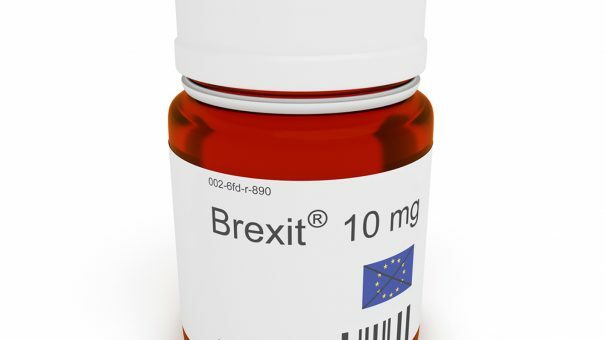 The pharma industry in the UK and Europe is preparing for a Hard Brexit – as a last-minute political deal will come too late to ensure medicines supplies won’t be disrupted after 30 March 2019. This is when the UK is set to officially leave the European Union, but the complexity of pharma’s European supply chain means it needs certainty now about future arrangements to avoid shortages or delays to medicines reaching patients in the UK and mainland Europe. This warning was spelled out in a letter to the negotiators on both sides in July by a coalition of trade associations: the UK’s ABPI and BIA, Europe’s EFPIA and EuropaBio, plus generics and consumer medicines manufacturer groups. Since then, there has been very limited progress in the top-level negotiations between the EU27 countries and the UK. This edges pharma closer to having to plan for the worst-case scenario. In medical devices, things are moving faster, and there are clear signs that an exodus from the UK to the EU is already underway. TOPRA, the European pharma and medical devices regulatory affairs association, held its annual conference last week, and Brexit was the focus of the final session of the final day. 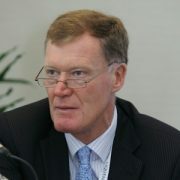 Speaking at the event, the ABPI’s Virginia Acha said the pharma industry needed to guarantee continuity of medicines supply to patients in the UK and Europe on ‘Day 1’ after the UK’s exit from the EU on 30 March 2019. 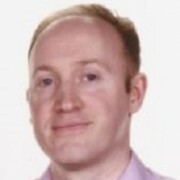 “The timing and the decision points we come to as industry don’t necessarily map on to those of the political groups,” said Acha, who is the ABPI’s executive director, research, medical and innovation, and has led its post-Brexit planning. The possibility of a ‘no deal’ Brexit remains real, despite Prime Minister Theresa May clarifying her wish for a two-year ‘implementation period’ after the exit date. The message from the TOPRA conference was that, even with this two-year transition period, Brexit will be a huge logistical challenge. Based on its limited comments so far on medicine regulation, the EU appears to be proposing that products manufactured in the UK after 29 March 2019 will not have regulatory clearance for sale in the EU. In August, the UK government put forward its own proposals that would avoid this scenario, which would cause huge disruption to medicines supplies in Europe. But the EU is refusing to discuss them until the ‘divorce settlement’ issues are resolved. In July the trade association coalition warned that an “unorderly withdrawal” could mean all goods due to be moved between the UK and EU would have to be held either at border checks, in warehouses or manufacturing and/or subject to extensive retesting requirements. Acha said individual companies were already busy scoping out what different scenarios would mean across their business: in clinical research, in licensing, the supply of investigational medicinal products, and pharmacovigilance. Among the most pressing issues is batch release, the manufacturing quality tests which must be done before a product is released for sale. EU law states that this process needs to be carried out within the EU or European Economic Area (EEA) – and therefore would not be valid for EU sale if conducted in a UK outside this group. This is a major headache for European pharma, as the UK produces a large proportion of its medicines. The same EU/EEA rule applies to the work of authorised representatives, who have responsibility for overseeing regulatory compliance in medical devices, and qualified persons, who are responsible for pharmacovigilance (known as QPPVs) in medicines. Acha warned that “go/no go” decisions on supply chains would need to be made imminently. As there is currently no guarantee of there being a transition period, a ‘no deal’ scenario, where the UK has ‘third country’ status to the EU, is quite possible. “The only thing we have certainty on is what the UK looks like when it is a third country,” she said. This was backed up by a warning from the European Medicines Agency (EMA) in May, which reminded companies with centrally-authorised products about the need for processes to be conducted in the EU/EEA. “Marketing authorisation holders will need to act sufficiently in advance to avoid any impact on the continuous supply of medicines for human and veterinary use within the European Union,” it stated in an official notification. Acha said there was anecdotal evidence that clarity might emerge by the very end of 2018. However by then it would certainly be too late to avoid major disruption if there were no transition arrangement. David Jefferys is senior vice president of Eisai Medical Research, and is also one of the UK industry leaders pushing for clarity from the EU and the UK. He even suggested some industrial sectors could see the EU as damaged, and might want to take away investment from Europe as a whole. However the greatest long-term danger is almost certainly to the UK, which has, until now, been very successful in attracting inwards investment from foreign-owned pharma companies. Neil Armstrong, chief executive of medical devices regulatory affairs management company MeddiQuest told the conference that Brexit had coincided with a hugely complex new EU regulation for medical devices. Having weighed up the options, he decided to relocate his business to Ireland soon after the Brexit vote, with the hope of minimising disruption. Mika Reinikainen is chairman of the European Association of Authorised Representatives (EAAR), and told the conference that his organisation was moving its headquarters from the UK to Brussels in 2018. Other important stakeholders in the medical devices field are notified bodies – these independent organisations assess whether manufacturers and their medical devices conform to EU standards. A representative of one notified body company spoke at the TOPRA event, and also confirmed his organisation was considering relocation. So will the UK see the same alarming pattern emerge in pharma? Pharma will have to act swiftly if it cannot guarantee the supply of medicines between the UK and Europe, but there will be no easy solutions in such a short timeframe. The ABPI is working with EFPIA on a survey of their members to understand how they are planning for Brexit, and what kinds of decision they are making. The ABPI and EFPIA have pledged to publish the results of this survey, and will hope that any alarming signs from the sector will make the politicians sit up and take notice. There is no doubt that the primary concerns are for the continuity of the European medicines supply chain, but industry leaders say politicians are so far ignoring these warnings. Jonathan Mogford, director of policy at the UK’s MHRA was also speaking at the event, and was keen to talk up the possibility of a solution. He stressed that there was “absolutely no reason if the [political] will is there” for the UK to revert to ‘third country’ status. Comparing medical devices to pharmaceuticals, Mogford pointed to the fact that there were already notified bodies operating in the EU which were based in Switzerland and Turkey – both non-EU countries, but also both members of the customs union. However, as other speakers pointed out, if the UK insists it will not join the EEA or remain within the customs union, this is incompatible with any alignment with the EU27. One huge upheaval is already confirmed: the European Medicines Agency (EMA) is to relocate from its current home in London because of Brexit. A contest between a dozen European cities is underway to be its new home, and the winner will be announced on 20 November. While this will be a loss to the UK, the EMA has also warned that the move, wherever it ends up, will inevitably disrupt its business. Also speaking at the session was Melanie Carr, the EMA’s head of stakeholders and communication. She said the agency was standing by to transfer its IT infrastructure, experts and all its operations to wherever its new home was, but said some disruption to its operations was inevitable. The EMA is also trying to avoid shortages and delays to the European medicines supply chain, and is asking companies to provide concrete examples of how Brexit could affect their manufacturing and distribution. Mentioning biologics production as one clear example, she said there clearly wasn’t enough time to avoid any disruption. Despite all these mounting concerns, Acha still believes there is time for a reasonable compromise to be reached. One reason for believing that a pragmatic deal will be reached in health is that there isn’t time to replace the UK MHRA’s contribution to the EMA’s network. However there remain concerns that political brinkmanship – or indeed a stubborn refusal to back down – could still prevail and for that reason pharma is lobbying as hard as it can to get its voice heard in London and all the other EU capitals.